Chondroitin, MSM and Essential Fatty Acids can reduce pain and inflammation. in the skin- meaning LESS itching and scratching. 3. Recurrent bouts of Diarrhea or Vomiting- in this case your pet may be having difficulty digesting certain ingredients, or suffering from some type of disease in which the intestinal tract gets easily inflamed. Either way beneficial bacteria called Probiotics are often helpful, decreasing the severity and frequency of GI upset. Fatty Acids, Antioxidants and Probiotics can help in this case. Arthritis supplement can make your pet feel better, and be LESS withdrawn. allergy, inhalant allergy, and secondary skin infections with yeast or bacteria. Supplementing with Essential Fatty Acids, Probiotics, and Antioxidants can decrease the smell. in the first place. Supplementing with nutrients that may improve your pets immune response to disease, such as Colustum, Maiitake and selected Vitamins and Minerals. I have to thank Dr. Andrew Jones for coming out with a great deal of highly relevant information lately! We certainly are getting the benefit of his expertise right now! 1. Limping, lameness, stiff movements, especially after rising from getting up. The most common cause of these signs is from Arthritis, seen in middle age and older pets. Supplementing with Glucosamine, Chondroitin, MSM and Essential Fatty Acids can reduce pain and inflammation. 2. Chronic itching and scratching. When your pet has these signs, they likely have an Allergy. Supplementing with Essential Fatty Acids, and Key Antioxidants can decrease the inflammatory response in the skin- meaning LESS itching and scratching. 4. Chronic and ongoing Ear Infections. The most common underlying cause of ear infections is Allergies. A supplement that decreases the allergic signs can lessen the chance of ear infections- Essential Fatty Acids, Antioxidants and Probiotics can help in this case. 5. Withdrawn and Sleeping longer– this can be seen in older pets which may have joint pain and discomfort of arthritis. Old age does NOT mean inactivity and less interaction. An effective Arthritis supplement can make your pet feel better, and be LESS withdrawn. 6. Constant Paw chewing, excessive hair loss, and ‘Foul’ Odor. The smelling pet is a BIG sign that your pet has an underlying health disorder, and can benefit from a Supplement. This could be a food allergy, inhalant allergy, and secondary skin infections with yeast or bacteria. Supplementing with Essential Fatty Acids, Probiotics, and Antioxidants can decrease the smell. 7. TOO many trips to your Vet. 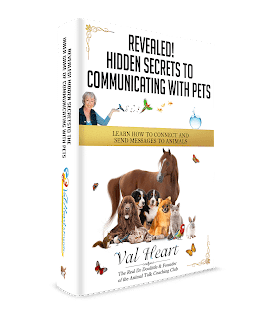 If you have a pet that seems to repeatedly be getting ill, then you should look at what you are feeding them, and do what you can to PREVENT diseases from happening in the first place. Supplementing with nutrients that may improve your pets immune response to disease, such as Colustum, Maiitake and selected Vitamins and Minerals. For more tips on how to care for your dogs at home check out Dr. Jones home study course – Veterinarian’s Secrets Home Study Course.